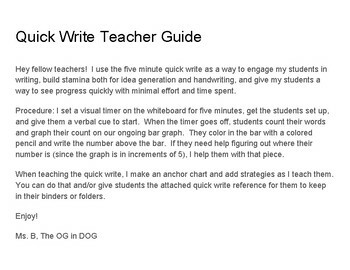 This Quick Write Activity gives my students an opportunity to build stamina, practice generating ideas, and measure their own growth in order to help them build engagement in writing. 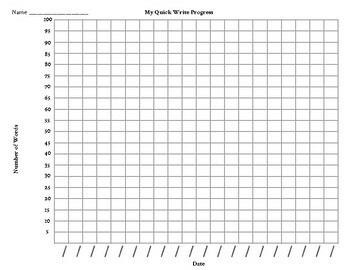 They love charting their own scores and seeing the bars go up over time, and they learn to reflect on strategy-use and develop a sense of how to think critically about how and when to use different strategies to accomplish a task. 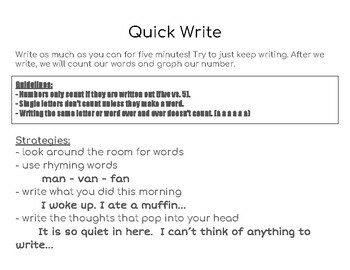 I use this activity regularly (2-4 times a week) with my students with language-based learning disabilities.